As the annexation of Crimea began, questions were raised last week about the future treatment of the more than 800 Methadone patients who receive treatment in the city. Sadly, today the Federal Drug Control Service Chief of Russia has in fact confirmed that the practice of prescribing Opiate Substitution Therapy (OST) as a treatment for those struggling with heroin or other opiate addictions will cease. 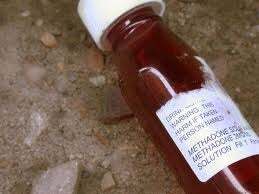 How much of a Methadone supply is remaining in Crimea? Frighteningly, not much. The current stocks of Methadone and Buprenorphine in Crimean clinics "are only expected to last a matter of weeks". Other areas are already starting to feel the strain of lack of supplies, such is the case in the city of Sevastopol, where OST Clinics have "already been compelled to start decreasing patients dosage". The sudden cessation or rapid reduction in OST will lead to patients going into withdrawals, which will unfortunately lead many of these patients right back to the addictive behaviours they originally sought treatment for in an attempt to ease the physical and mental pains of opiate detox. Not only is OST illegal, so are the needle exchange services that are imperative in reducing the spread of the disease. Suddenly having a influx in the number of addicts returning to IV drug use, and no legal means of obtaining clean syringes and other harm reduction supplies will most likely have a large impact on the rates of HIV infection and other diseases such as Hepatitis C. "Ukraine has been a regional leader in the provision of needle exchange and substitution therapy programs which prevent HIV among people who use drugs", but such a sudden and drastic change to these services "is likely to prove a disaster for health human rights and the HIV epidemic in Crimea and the region more generally".